VOTED #1 Place For Auto Service - Thanks Northville! We care and want to do the best job possible. Let us know how we did and if improvement is needed. Was the repair work done satisfactorily the first time? How helpful was our staff? Was your repair work completed when promised? How quickly were you serviced at time of write up? How quickly were you serviced at time of pick up? Were all repairs and charges on your vehicle explained? Was your work order total equal to or less than the last estimate given? Would you use us for service/mechanical repairs in the future? Would you suggest Davis Auto Care to a friend? Thank you for your comment and/or suggestions. We Value your business. Copyright © 2003 [Davis Auto Care Inc]. All rights reserved. 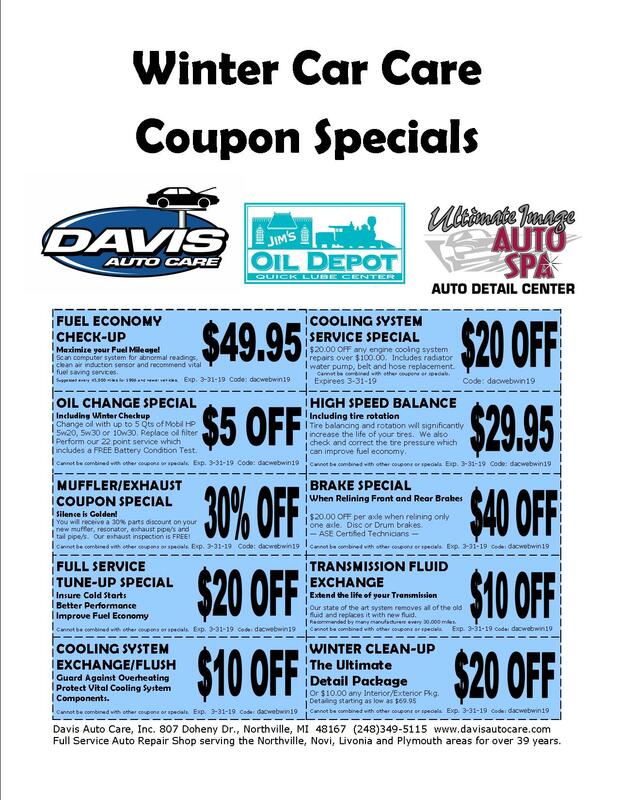 Thank you for visiting the Davis Auto Care website! Copyright © 2003 [Davis Auto Care, Inc.]. All rights reserved.